The Little Food Scale That Could | Go Figure Girl! If you’re a competitor, you know the importance of tracking your food. Eyeballing portions won’t cut it (or so I am told) when you’re weeks away from the stage. You have to know exactly what is going into your body so you can fine tune your nutritional needs up until show day. As soon as I decided that I wanted to compete, I decided that I had to get into the habit of measuring and tracking my food so that it was nothing more than a habit when it started to really count. 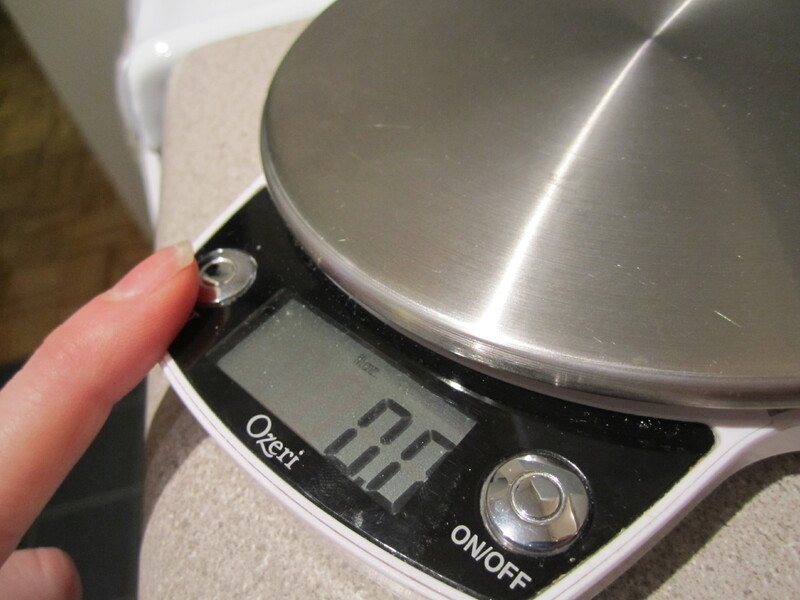 After quite a while fussing with an analog model, I quickly found a scale that works amazingly well: The Ozeri ZK011 Precision Pro Stainless Steel Digital Kitchen Scale ($19.95). It’s not too fancy and not too simple. It will measure weights up to 11lbs and changes from grams to ounces to fluid ounces to pounds with the touch of a button. I have yet to experience this feature, but I am told that it even tells you when it’s running low on batteries. This baby has made Sunday night meal preparation a breeze. What do you use to measure out your meals? This entry was posted on June 26, 2012 by belcbody. It was filed under Uncategorized and was tagged with figure competition prep, food, food scale, meal prep, Ozeri, scale, weigh, weighing.